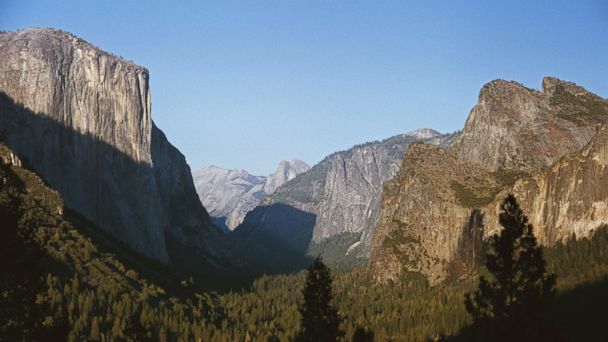 An 18-year-old hiker died Wednesday after falling off a cliff at Yosemite National Park, according to the National Park Service. Officials did not release details on what led to the teen's death. The teen was identified as Jerusalem resident Tomer Frankfurter, The Times of Israel reported, citing the country's foreign ministry. Frankfurter's mother told The Times that he slipped while trying to take a selfie at the edge of Nevada Fall. The fall was an estimated 820 feet, the Fresno Bee reported. Nevada Fall is about a six-hour hike from Yosemite Valley, much of which takes place along the route of the iconic Half Dome hike, according to the Fresno Bee. His body is being transported back to Israel to be buried, the newspaper reported. Park visitors are warned to be prepared for rugged conditions and inherent danger from the terrain and wildlife, ABC Los Angeles station KABC reported. The National Park Service did not immediately return ABC News' request for additional information. Frankfurter wasn't the only teen to die in a cellphone-related accident this week. In New York City, a 15-year-old girl died while attending a house party in the Tribeca neighborhood, the New York Daily News reported. The high school sophomore was on a fifth-floor fire escape trying to retrieve her phone from a room that had been locked by going through the window, according to the Daily News. She then slipped and fell, landing on her back on the sidewalk.